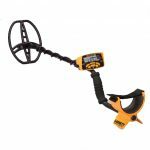 Garrett ACE 400 Metal Detector Review - Should You Buy It? 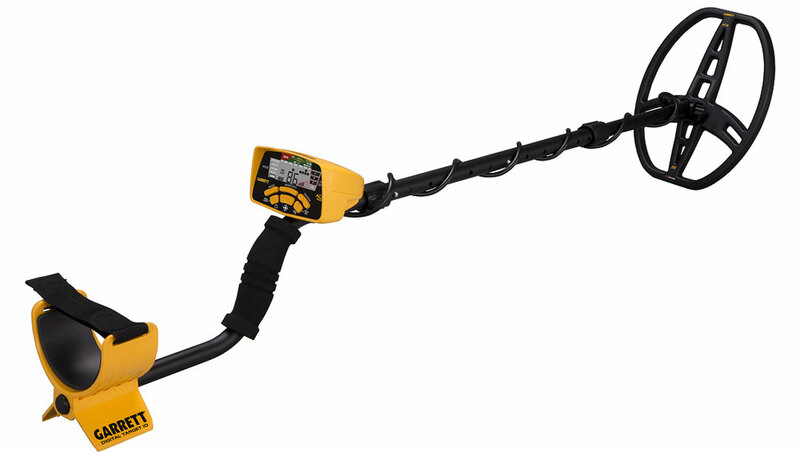 Looking for a metal detector that straddles the entry-level/mid-range line? If so, the Garrett ACE 400 could be the perfect choice. Keep reading my in-depth review to find out whether this is the right detector for your hunting needs. The Garrett ACE is a hugely popular series - and the 400 is its top-of-the-line model. The ACE 400 has a range of features, including digital target ID, Iron Audio, notch discrimination and a lightweight design. Like other ACE models, it’s also available for a very reasonable price. How does the ACE 400 compare to other detectors in its price range though? And what type of treasure hunting is it best for? Let’s find out. Can I Use it on a Beach? What is the ACE 400i? Where is the ACE 400 for sale? The Garrett ACE 400 is the new top-dog in the ACE series. It replaces the now discontinued ACE 350, while adding extra features not found on other ACE models. 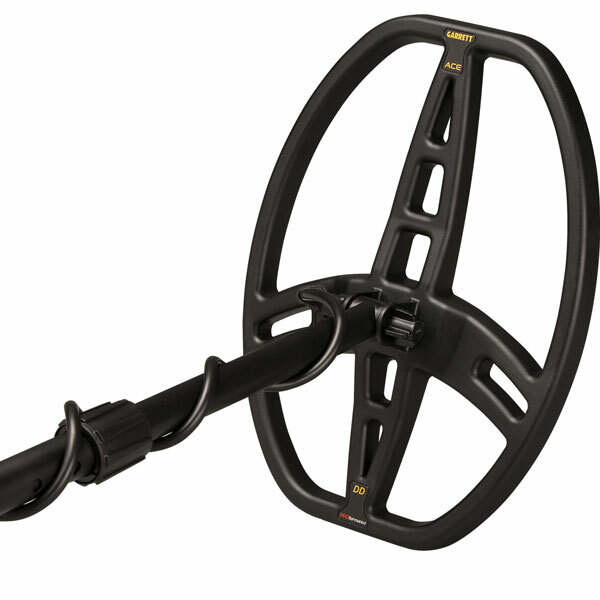 At a basic level, the ACE 400 is a VLF metal detector with an operating frequency of 10kHz. This is higher than the 8kHz of the ACE 300, so it’s more sensitive to smaller targets and those with medium-conductivity. It’s also a great frequency for balancing depth with sensitivity when coin and relic hunting - although it's not designed for gold prospecting. The ACE 400 a relatively lightweight machine. At just 2.9lbs (1.3kgs), you won’t feel tired swinging it for long periods. It also has an adjustable stem, that ranges between 40” to 53”, and cam locks to provide extra stability while hunting. In terms of appearance, Garrett has stuck with the instantly recognizable yellow color scheme. This isn’t to everyone’s tastes (I’m not a big fan), but it’s not an unattractive detector. It’s powered by four AA batteries which provide around 25-hours of search time. There’s a continuous battery-level indicator, which is a useful feature when in the field. Like most detectors, the ACE 400 can be separated into three parts. The cam locks provide extra stability to the separation joints, which makes the detector feel more stable throughout the swing. It feels a little unbalanced, mainly due to the larger search coil, but it's not uncomfortable to use. There’s also a frequency adjustment option. This provides a small level of adjustment that’s useful if you’re hunting in a group - especially if another detectorist is using the same machine. The Garrett has a three-tone audio system. This emits three distinctive tones depending on the conductivity of the metal, with higher conductivity targets producing the signature belltone. Lower conductivity items trigger either a medium or low-pitched signal. The ACE 400 also comes with "Pulse-Width Modulation" audio. This offers a highly responsive audio that’s sharper and easier to use. How does this work though? When iron audio is activated, iron targets found in notched out pixels produce a multi-toned response. A nail, for example, is heard as several low tones, while a bottle cap triggers a low-high-low response. This allows you to hear iron targets that would normally be silenced, so you can avoid digging unwanted targets. Iron audio isn’t always useful - it depends on the ground conditions. If there's a lot of iron trash, you’ll probably want to switch it off to avoid being bombarded with signals. It’s great for regions with low iron trash density though. If you’re tired of being tricked into digging trash targets such as bottle caps, iron audio provides extra information about what you’ve found and increases your "real find/junk" digging ratio. Aside from the iron audio function, Garrett has doubled the number of iron discrimination segments compared to the ACE 250. There are now four segments, so the detector is significantly better at separating junk iron from good targets. A big complaint about the ACE 350 was the lack of digital target ID. While the detector had a visual ID function, which indicated whether the target was likely to be gold, copper, iron or another metal, it lacked the accuracy and resolution of numerical systems. To fix this, Garrett has included digital target ID on the 400 to help better identify potential targets. This takes the form of a 0-99 ID scale that’s displayed in large digits at the center of the screen. Foil and iron targets register in the lower end of the range, while highly-conductive coins appear in the upper regions. As you can imagine, having 100 “segments” rather than just a few provides much greater accuracy, so you’ll waste less time digging unwanted targets. The downside is that it takes more time to get a feel for what the numbers are likely to mean - but there’s still the visual identification (which Garrett hasn’t removed) if you just want a quick idea of the target metal. One of the biggest drawbacks of the ACE series is there’s no option to adjust the factory pre-set ground balance. Unlike more expensive models, which have both automatic and manual ground balance adjustment, you need to make do with the pre-set setting. This isn’t a major issue for beginners. Ground balance takes some practice to get right, so not having it is one less thing to think about. The ACE 400 performs excellently without it in most environments. The lack of ground balance is more of a problem in ground conditions with high levels of mineralization though. If you’re planning to hunt for gold, in wet beach sand, or anywhere with mineral rich soil, the ACE 400 will struggle. To be fair to Garrett, you wouldn’t expect ground balance adjustment from a metal detector in this price range. But it’s something to keep in mind. There are 12 notches used for discrimination. These are displayed on the lower scale on the screen, along with a legend showing which metal an item in each segment is likely to be. By adjusting these segments, you can fine-tune which items are detected and which are ignored. Zero-Disc. This is not a true all-metal mode, but has a similar purpose: to detect every type of metal with no discrimination. On the screen, none of the segments have been notched out. You can use the “Zero-Disc” mode when you want to find metal items without knowing the material, or for when a target’s signal is inconsistent. Jewelry. The “Jewelry” mode filters the majority of iron trash while targeting items such as bracelets, necklaces and rings. Relics. Unlike the “Jewelry” mode, the relics mode eliminates smaller iron items while detecting potentially lower conductivity targets. These include those made from bronze, brass and lead. Coins. This mode eliminates pulltabs, foil and other common trash items to help you find more coins. It may miss medium-sized jewelry though. Custom. One of the great things about the ACE 400 is that it allows you to program your own notch discrimination pattern. After selecting “Custom,” you can use the Accept/Reject discrimination buttons to eliminate segments you don’t want to detect. These settings are saved when you turn off the machine. Having a custom option makes the ACE 400 a much more versatile device than models with only pre-set discrimination patterns. If you wanted to hunt for silver coins, for example, then it’s easy to notch out the zinc and copper segments. And if you’re tired of digging up pull tabs, in just a few button presses you can remove it from the discrimination pattern. This isn't possible with detectors that only include pre-set patterns. It’s worth noting that you can adjust the notch discrimination of any of the modes. Only the custom mode saves your settings when the machine is switched off though. The standard package includes an 8.5” x 11” DD searchcoil. This provides a great balance between sensitivity and depth. There are several additional coils available for ACE detectors. Examples include a Super Sniper 4.5” searchcoil, 5” x 8” DD coil and a 9” x 12” PROformance coil. The ACE 400 includes a pinpointing function to help locate targets more precisely. I prefer a dedicated pinpointer, but having a built-in option can be useful. This is found on the ACE 300 and ACE 250, but not on the basic 200 model. There are eight sensitivity adjustment segments. This allows you to balance depth with sensitivity depending on the ground conditions. 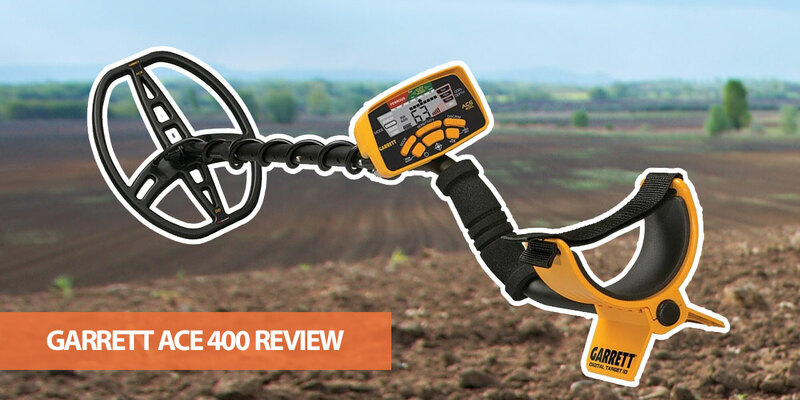 Like all ACE metal detectors, the 400 has a target depth indicator. 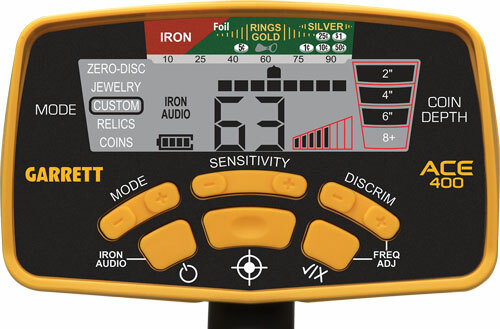 If you’ve used a Garrett ACE metal detector before, you’ll instantly feel at home with the 400’s control panel. Garrett has gone for evolution rather than innovation with the ACE 400’s display, although there are a few adjustments to make it easier to read. The great thing about ACE displays is that everything is clear and simple to use. The buttons are labelled, so you won’t need to spend hours memorising complicated sequences to access various features. The visual display also provides lots of useful information, including an expanded Target ID Legend with coin denominations. One of the only complaints I have about the control panel is that the printed legend can be difficult to see when out in the field. The target ID is always visible though - and that’s probably what you’ll use most of the time anyway. The best feature of the Garrett ACE is arguably the price. With a recommended retail price of $400, it provides outstanding performance and features. If you’re looking for an entry-level detector, but can afford to pay a bit more than models such as the Fisher F22, the ACE 400 provides fantastic value. The Garrett ACE 400 is very simple to use. You’ll be up and running in minutes after reading the manual - even if you’re a beginner. It’s also enjoyable to use in the field due to its high accuracy, lightweight design and excellent performance. Like most Garrett metal detectors, the ACE 400 is highly sensitive when set to its top sensitivity segments and is great at picking out targets. Even when you’re forced to decrease the sensitivity, the ACE 400 still provides surprisingly strong performance. The distinctive bell tone for coins is also clear and easy to hear. It’s great at discriminating trash objects, so you’ll spend less time digging unwanted items compared to many other detectors in this price range. The iron audio also helps pick out iron targets. The standard search coil does a good job of separating targets in areas with lots of trash. It also provides decent depth on dry land - although for smaller targets you may need to purchase one of the smaller searchcoils. As with all metal detectors, the maximum depth varies depending on the machine’s settings, ground mineralization, target size and a variety of other factors. The machine provides excellent sensitivity for the price though, so you should expect to find medium-size coins at up to 8”. One thing to note is that the lack of ground balance makes the ACE 400 unsuitable for regions with high levels of soil mineralization. It’ll also suffer from excessive falsing if used on wet sand, although it’s fine for hunting on dry beach sand. As you can probably tell, I’m a big fan of the ACE 400 as an entry-level/mid-range detector. It has features you would expect from higher priced models - such as Iron Audio and Accept/Reject discrimination - yet is available for a very reasonable price. How does it compare to other models though? The “All Terrain” series is the next up from the ACE range, so you would expect the AT Pro to have more features than the 400. It’s a 15kHz model, so it provides greater sensitivity to small targets, and has a rapid recovery time to separate close targets. One of the biggest differences is that the AT Pro is submersible to a depth of 10 feet. This means it’s suitable for underwater hunting - especially in freshwater conditions. It also includes both automatic and manual ground balance. This is a big advantage over the ACE 400 and makes the AT Pro much better suited to ground with high levels of mineralization. There’s no doubt the AT Pro is the better metal detector (see here for my full review). It’s considerably more expensive though, so if you’re on a tight budget the ACE 400 is still a great option. The ACE 400 replaced the ACE 350 - and it’s a significant upgrade. While the 350 has been discontinued, you can still buy leftover stock, so it’s important to know the differences between these models. One of the most significant is the addition of a numerical target ID, which provides much greater accuracy when identifying targets. The 350 didn’t include the frequency adjustment option either, which can be helpful in groups or if there are powerlines nearby. The ACE 400 also includes iron audio, which can be helpful if you’re tired of being tricked into digging junk targets. While the ACE 400 hasn’t revolutionized the ACE series, these additions (along with several other improvements) make it a much better detector than the 350. Another popular detector in this price range is the Fisher F44. How does it compare to the ACE 400? The two models are excellent, so you can’t go far wrong with either. Both include numerical target ID, adjustable iron audio and notch discrimination. They also provide excellent performance for the price. There are a few differences though. One of the most important is that the F44 includes manual ground balance. If you’re going to be hunting in areas with high levels of mineralization, the F44 is a great choice. The ACE 400 has more discrimination segments though (12 compared to 9). It also has a higher frequency, so is more sensitive to smaller objects. The ACE 400 is more expensive than the TreasureMaster and, in general, is a more feature-packed detector. The TreasureMaster has one advantage though: automatic ground balance. While there's no option to adjust the ground balance manually, the machine automatically adjusts to the current ground conditions. This is an impressive feature for a model in the entry-level price bracket and is great for hunting tough ground conditions. The basic Garrett ACE 400 comes with easy-stow headphones (including volume control), a coil cover, ACE cover-up and manual. There are other packages and bundles available depending on the retailer though. Some include extra accessories, such as covers and even search coils. The coil is waterproof, but the control box isn’t. This means it’s fine for hunting at the edge of lakes, streams or creeks, but it’s not submersible. I don’t recommend it for any deeper than a few inches, as an unfortunate splash or fall could damage the control box. Like most entry-level VLF detectors, the ACE 400 is not designed for salt water. The high conductivity of wet sand will cause lots of false positives. On a similar note, it's not great for hunting gold nuggets, as the lack of ground balance means it struggles to cope with mineralization. It’s perfectly suited to dry sand hunting though. In short, the 400i is the European version of the ACE 400. If you’re in the US, you don’t need to worry about the differences between the models, as they are relatively minor. The biggest change is the iron discrimination features are designed to handle Europe’s highly mineralized soil. The 400i also has a different visual ID legend that doesn’t include US coins. The ACE series is one of the most popular on the market, so you can find the Garrett ACE 400 in many stores. It’s also available from online shopping sites such as Amazon. There are often deals and promos available, but you may need to wait for Black Friday if you want a real bargain. The popularity of the ACE series means you'll often find second-hand models on eBay, Craigslist and similar websites. Make sure you check the detector is in good condition before you buy though. Once you receive your detector, I recommend reading the manual thoroughly and watching a few instructional YouTube videos. The ACE 400 is straightforward to use, but you'll get the most out of it if you understand its various features. It's also a good idea to test the detector with some known targets before heading into the field. Garrett is known for manufacturing high-quality metal detectors - and the ACE 400 is a great example. It’s a sensitive detector that has a variety of useful features - many of which you would only expect from a more expensive machine. The ACE 400 is accurate, lightweight and genuinely fun to use when hunting for coins, relics or jewelry. The 24-month warranty and excellent price also make it easy to recommend as an entry-level model. The biggest downside is the lack of automatic or manual ground balance. For this reason, I can’t recommend it for hunting in regions with high levels of mineralization. If you aren't planning to use it in wet sand or heavily mineralized areas, however, it's a great choice. Have any questions about this Garrett ACE 400 review? Or have you used this machine and want to give your views? Let me know in the comments.